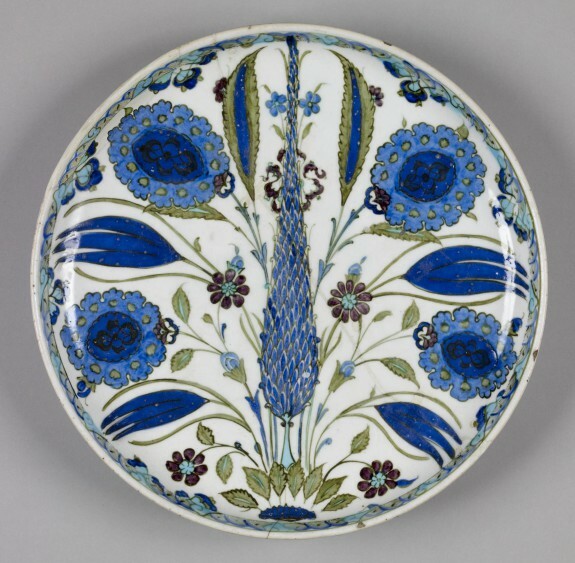 Description Ottoman ceramic artists took much of their inspiration from nature and created designs incorporating stylized leaves with recognizable plants, flowers, and trees. Familiar species depicted on this plate include tulips, and cypress trees. Provenance Edouard Aynard Sale, Paris, Dec. 1913, no. 113; Estate of D.K. Kelekian; Walters Art Museum, 1952, by purchase.